New at the shop! Metallic Mugs for Your Cafecito. – Culture. Clothing. Events. Every couple of months we try to bring you something new and unique. Well, guess what? We have a new collaboration that we are excited about! 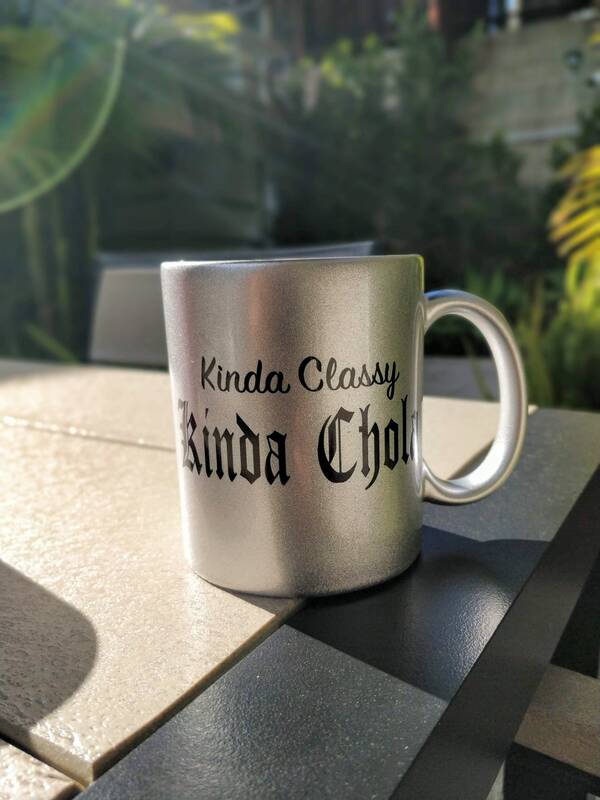 This is a coffee mug series that we have collaborated on with MG Custom printing, a local business in Riverside, California. We realize that we are a bit unique as a business. Many people we collab with tell us that they usually don’t work with people that share their sources so openly. We pride ourselves on working with local artists and businesses. We love to share who we work with because we realize that it may encourage our readers, not just to shop our store but to investigate ways to do business for themselves. We think that there is enough creativity, enough money, enough supply of good in the world to want to share with you exactly how we do things. Not only our brand, it’s a phrase that we live by. 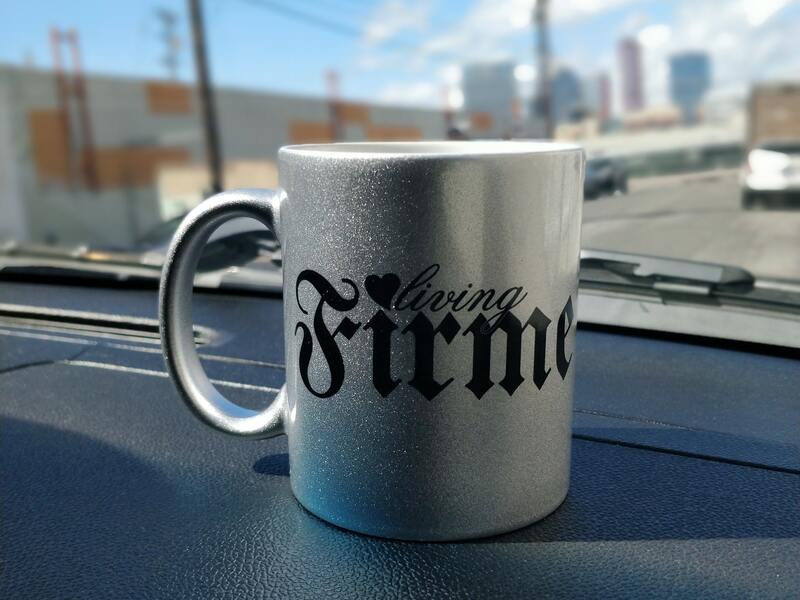 Firme is better than good. It’s our way of saying we are living the good life. It’s what we want for ourselves, our community and the world at large. Like phrases have been copied but none will come close to the original. 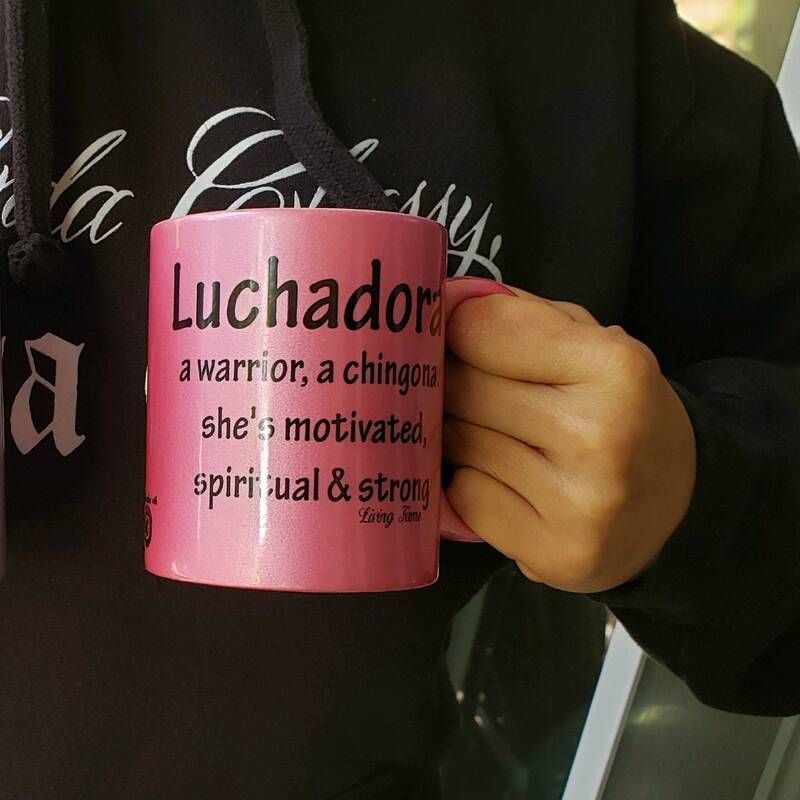 She is a warrior, she’s a Chingona, she’s spiritual and strong and we are so thankful for the Luchadoras in our lives. They are the women that have knocked down doors and paved a way for us to be who we are! 11 oz high quality ceramic, top rack dishwasher safe, securely shipped to avoid damage, 5 star long time Etsy sellers. * Please note that these are ceramic mugs with a painted, metallic, finish, therefore they should not be put into the microwave.